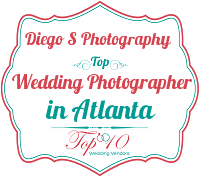 Diego Salcedo Photography - Why Choose Diego's Photography? Choosing a wedding photographer is a very personal decision, and I know that I am not the perfect choice for every couple. I consider each wedding a collaboration with the bride and groom, so it is important that your vision matches my style, and to me the wedding photography style is a blend: it is whatever the moment calls for. I'm a very easy going wedding Photographer , who like to go with the flow, I'm not there to Run your wedding. Talking about Wedding days are very stressful, and the last thing you need is a photographer adding to this stress. What I always try to and keep you calm and add a few laughs into the day. I want to compliment and capture your day, not disrupt it. I’m not going to be up in your face, bellowing orders at your guests and annoying them.I like to being in the background and being un-intrusive, because allow to me to catch the joy, the fun and the emotions from you and the guests. This way I can produce awesome portraits of you and the bridal day. I'm there with you every step of the way, providing easy, natural directions to help you look your very best. Because I take the time to know every couples’ Ideas, I can adapt to any changes on the day to capture what you really want. I am passionate in what i do! I'm always trying to be better photographer. Because Photography is my full-time job, as a full time photographer, I'm able to focus my energy and attention on providing stellar service to my clients. I do what I love.. I love what I do. That means passion, soul, dedication that produce a huge benefit to you as well, because I DO WHAT I LOVE... shows in both my attitude on your wedding day and in your wedding photos... For this reason I LOVE WHAT I DO. Above all, I’m very happy to be there with you. oK, so far there is the list, I may could add more, but if you want to know more about me, than get in contact with me and let's talk.